Hope you feel better soon! :-) Purple is not a bad colour, I grudgingly accept! No hesitation in saying that I like this collage. @quietpurplehaze You can't beat a bit of hydro-therapy in the local pool... it helps to keep me going too. Beautiful, each and every one of them. 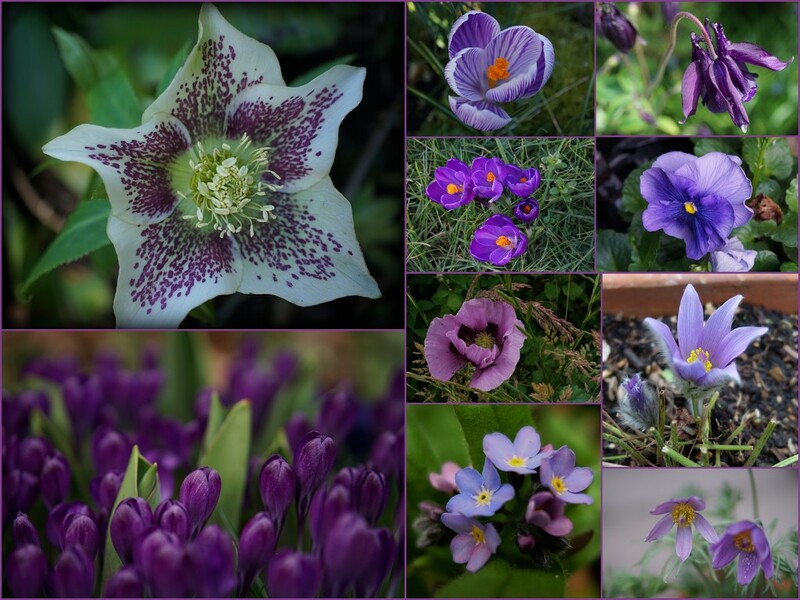 Beautiful collage and purple flower captures hope it helps to brighten your today. Lovely collage. The heart colour. I don't think you can ever go into a purple overload Hazel, such gorgeous flowers each and every one of them. Lovely images, nice collage. Get well soon, Hazel. A fabulous collage with lovely shots of these beautiful flowers. I smiled :) Purple and Hazel is a perfect combination. Oh no, don't dehaze me!!!!! A wonderful colours. Great collage.